The latest NASA update is seeing a giant Solar wave erupted from the Sun. Below is the main news about this. 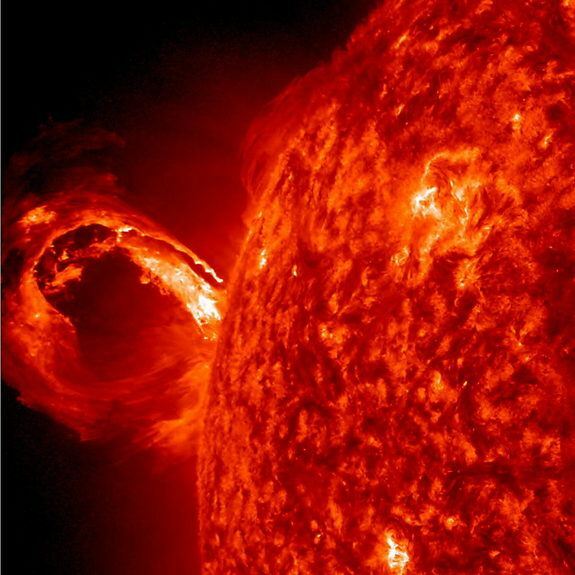 The sun celebrated May Day with a spectacular solar eruption Wednesday, unleashing a colossal wave of super-hot plasma captured on camera by a NASA spacecraft. The solar eruption occurred over a 2.5-hour period Wednesday (May 1) and appeared as a “gigantic rolling wave” on the sun in a video recorded by NASA’s Solar Dynamics Observatory, agency officials said in an image description. The solar eruption is what scientists call a coronal mass ejection (CME) — a type of sun storm that can fire off billions of tons of solar material at more than a million miles per hour, they added. When aimed directly at Earth, the most powerful CME events can pose a risk to satellites and astronauts in orbit, as well as interfere with communications and navigation networks. They can even damage ground-based power infrastructure. But the May Day solar eruption occurred on the side of the sun and was not aimed at Earth, NASA officials said. It produced a dazzlingly bright wave of plasma that expanded from the sun’s surface and then erupted from the sun’s side, or limb, into open space. The sun is currently in an active phase of its 11-year solar weather cycle and is expected to reach its peak activity this year. NASA’s Solar Dynamics Observatory is one of several sun-watching spacecraft that keeps constant watch on Earth’s nearest star to track solar weather patterns and storm events. The $850 million SDO mission launched in 2010 and records constant high-definition views of the sun in several different wavelengths, including the extreme ultraviolet range of the light spectrum used to make the video of the May 1 solar eruption. Here is what I believe in the difference between PHP, ASP.NET and JSP. Basically these are three different technology throug which we can create web pages. PHP is the easiest to develop in and the language can be hosted on all servers. ASP.Net requires Windows and IIS to run. It can be integrated with many database engines, but basically works best with Microsoft SQL Server. Code usually can be written in VB.Net, C++, or C#. JSP is one of the most complicated. A lot depends on which JSP engine (may also be called “servlet container” or “application server”) you are using. Typically, works well with Oracle DB; accesses databases through JDBC. In the meantime; I use PHP always and to me it is the best and most popular for website. Of course; PHP has many positives and negatives same thing with ASP.NET and JSP. Every language has a different positive thing. All three languages can do the same thing basically. The only way is how they do it. Every language is professional in doing something than the other. In the end every programmer is great at one of them and it is his best one; eventhough any programmer can easily learn a new programming language. 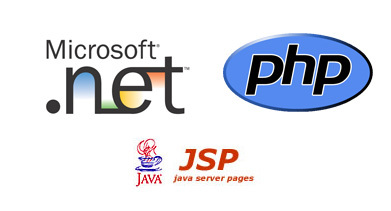 Mainly PHP and ASP.NET are the most used two, while JSP is rarely used. The most important thing is that whatever language u liked, just being professional using it is great and the more languages you use the better and easiest your work can be done.